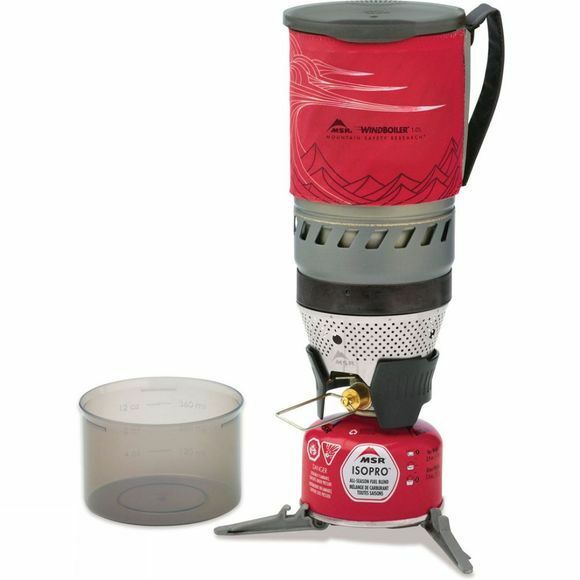 The Windburner Stove System from MSR is capable of operating in conditions that would shut down other stoves. The enclosed, clean-burning radiant burner makes it virtually impervious to outside conditions whilst still being capable of boiling water faster than most other stoves. The system’s versatile and compact design means it is perfect for backpackers and mountaineers. Built for lightweight convenience the lid has both drinking and straining ports and the 1L pot has an insulated cozy on it which not only insulates but reduces the chance of you burning yourself on the outside of a hot pot. It also has a handle that allows a firm hold on your precious food and drink. The bottom of the pot has a heat exchanger which increases the efficiency of your stove and the secure connection with the stove ensures safe cooking. A pressure regulator on the stove is great for consistent performance from your gas canister throughout it's lifetime and the glove-friendly flame adjuster is safe even with cold weather layers on. 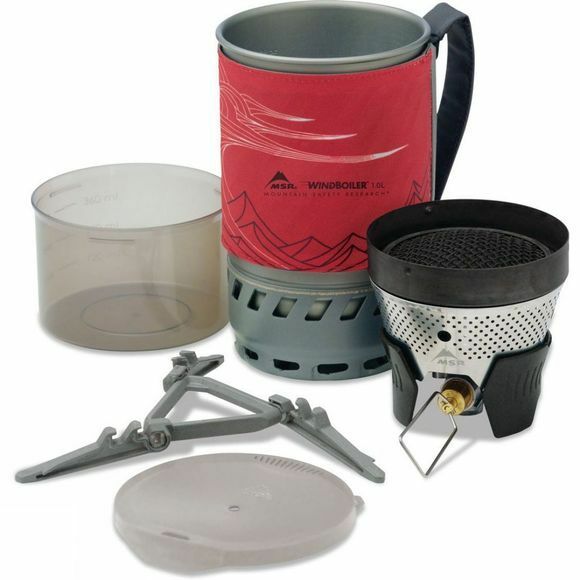 The stove is supplied with a folding canister stand which provides a sturdier base as well as a separate 0.47L bowl and the whole thing packs inside the 1L pot for safe and compact storage when on the move.